For a genre that people always say is dead, the movie musical is reborn really often. Three years ago, Frozen brought the genre back from the brink. Before that it was Sweeney Todd and Once, after Chicago and Moulin Rouge! did the same. The musical may be just as common today as in prior decades, but that doesn’t make the masterpieces any less special when they flitter into theatres. La La Land is one such delight. 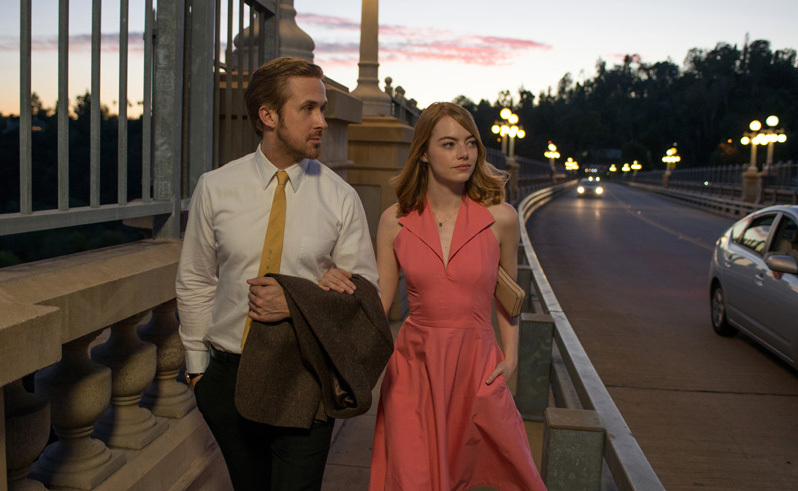 A love letter not just to the classic movie musicals of the ’50s and ’60s but also to sweeping romances and the glitzy mythology of Hollywood, La La Land has been the buzzed-about movie this year, since first storming Toronto International Film Festival in September. In a rare instance of hype being on the mark, everything you’ve heard about the Best Picture frontrunner is true. Mia (Emma Stone) and Sebastian (Ryan Gosling) first meet-cute in L.A. traffic, with him honking incessantly and her giving him the finger. Mia came to Hollywood with starry-eyed dreams, but spends her days working as a barista and getting rejected at auditions. Sebastian is an old-fashioned jazz pianist whose passion and intensity constantly get in the way of his own success. They meet soon again when Mia is walking home from a party and hears Sebastian’s music coming from a restaurant and she enters, entranced, just in time to witness Sebastian getting fired for deviating from the banal set list. He blows her off in anger. The third time’s the charm, though, when Mia is at a backyard party months later and spies the pompous pianist playing keytar in an ’80s cover band. Their playful spark and ribbing of each other quickly lead to romance blossoming in such joyous ways, it makes you want to stand up and sing. Thankfully, the characters do it for you. Like the musicals of the era of West Side Story and Bye Bye Birdie, La La Land‘s characters break into song when spoken words just aren’t enough to convey how they feel. In a lot of ways, a musical is determined by its songs, of which La La Land is populated with some great ones. A difference between a good musical and a great one, though, is the addition of dancing, and the choreography here is a wonder to behold. To make it all seem even more impressive, writer-director Damien Chazelle shoots each of his show-stopping musical numbers in one or two continuous shots, which should feel like an ostentatious gimmick but doesn’t. It makes the movie feel all the more alive because of the danger you know existed at any moment during filming, should the slightest mistake be made on anyone’s part. Thankfully, Stone and Gosling are beyond pros here. After already developing their crackling chemistry in Crazy, Stupid, Love. and Gangster Squad, the two fall into a perfect rhythm instantly from their first scene together. Stone gives the greatest performance yet of her impressive resume, including her work in Easy A, The Help, and Birdman. The range of emotions Mia has to go through, sometimes simultaneously, would be a massive task for any actor, but to also be able to fold singing and dancing into the mix is no small feat. If this weren’t such a tight year for lead female performances, Stone’s performance would be a shoo-in for the Oscar come February. Gosling has built such a respectable stable of dramas in his adult career, from Half-Nelson and Blue Valentine to Drive and The Big Short, it can be easy to forget he got his start alongside Justin Timberlake and Britney Spears as a ’90s Mouseketeer. The song-and-dance skills he learned at that formative age come into perfect use in La La Land, most notably in a winningly perfect dance sequence while walking Mia to her car one night. This is Chazelle’s third movie, whose low-budget first feature, Guy and Madeline on a Park Bench, also happened to be a jazz-infused musical. His second feature was the claustrophobically intense Whiplash, starring Miles Teller as a jazz drummer and J.K. Simmons as his abusive mentor. La La Land is his most impressive work yet. 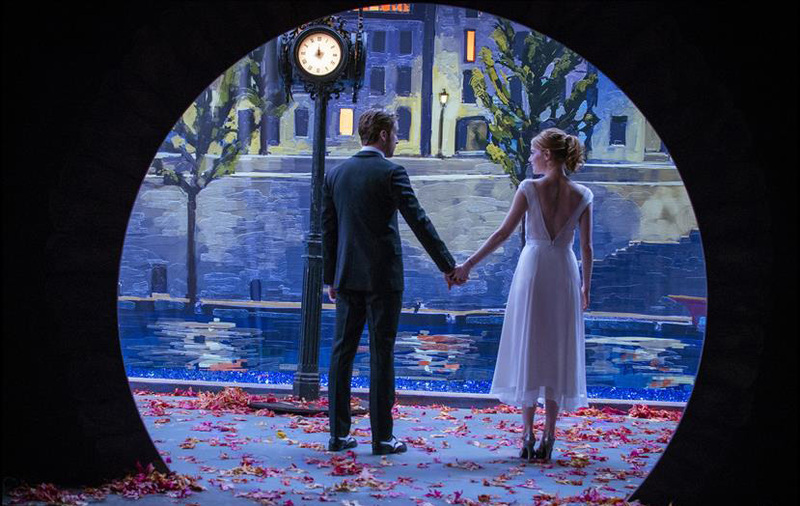 What 2011’s Best Picture winner The Artist was to black-and-white, La La Land is to Technicolor. Chazelle and cinematographer Linus Sandgren paint with vibrant colours that don’t seem to have existed onscreen since the ’60s or ’70s (outside of Tarantino pictures). The movie radiates energy throughout, fully erupting whenever the characters burst into song. Chazelle’s script frames itself in seasons, and it logically follows that some seasons are more happy than others, particularly since the movie deals with the cost of one being a dreamer. 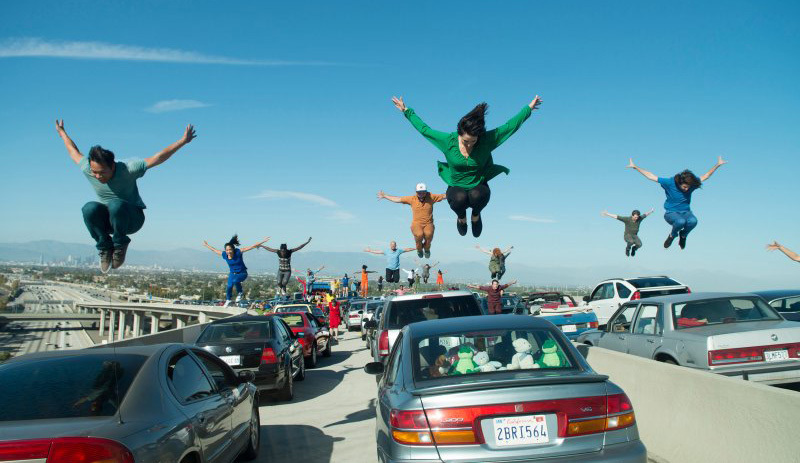 Not everything in the movie is laughter and dancing, but while the La La Land may take some paths you don’t personally care for — I didn’t, at first — it must be said that everything that happens is true to what ultimately serves the movie best. The films destined to be classics stay with you after you leave the theatre, lingering in your thoughts and making you see the world slightly differently for a while. I can say that in the 24 hours since first watching La La Land, I haven’t been able to stop thinking about it. The happy scenes make me bounce with joy remembering them. The sad ones crush me to recall. I can’t shake a one of them, though, and can’t wait to experience it all again. 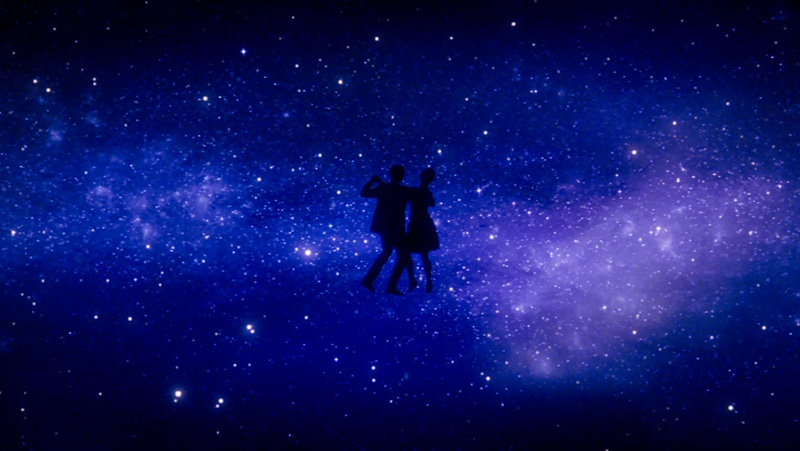 La La Land is exactly what the world needs right now.